Ideally located for the centre, completely refurbished 2 bedroom apartment. For sale via Savills Saint Tropez. 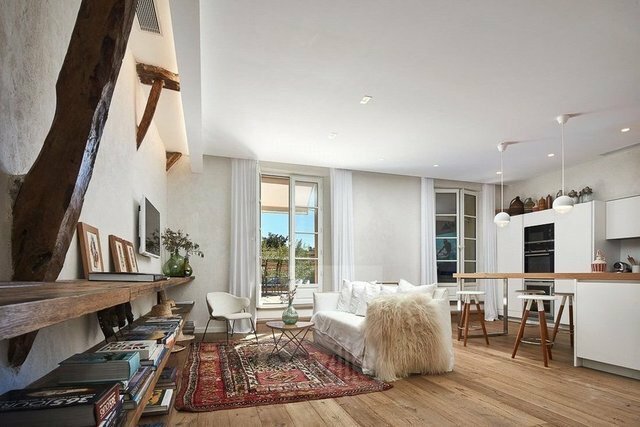 Completely refurbished apartment of approximately 90 sq m, ideally located for the centre of Saint Tropez. The air-conditionned accommodation features an entrance hall, a living / dining room with an open plan fitted kitchen, 2 bedrooms with en suite shower rooms and a guest toilet. Tastefully decorated, the property benefits from open views of the surrounding area.